and make sense of their world. by running, jumping, and laughing. SOCDS Closed Monday, March 4th due to the weather. 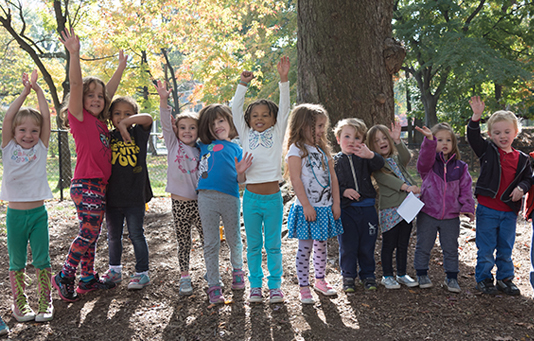 South Orange Country Day School is celebrating over 50 years of educating young children in a progressive, child-centric environment. 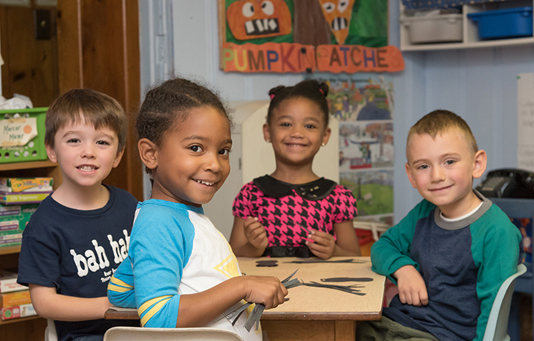 Our community of families reflects the diversity of our neighborhoods, which allows children to experience different cultures and learn that we are more alike than different. Thank you for your interest in our school. South Orange Country Day School has been educating students since 1964. We have been working to create an environment that encourages learning, fosters independence, and demands personal responsibility. Please come and learn more about our school. "The Director's sensitivity and acceptance of all the unique and beautiful families, traditions, and the use of teaching practices that elaborate that love and kindness is uniform regardless of creed,color, or race is one of the reasons we love SOCDS so much." "I'm writing to let you know how much we miss your school, the teachers and the culture you fostered. - we always felt welcome to "peek behind the curtain" while Macrae was at school"
"When we began to look at South Orange Country Day, we were faced with the dilemma of switching our children from a school that our children were very comfortable in, to a new environment. Our children, particularly our son, was not really good with change. As we expected, the first couple of days he was uncooperative. In response, the folks at SOCDS were very patient...they worked with him...they found things that he wanted to do...slowly they built his level of engagement. At the two month mark, we sat down with Ms. Annemarie and his teacher and to our surprise, not only had he adjusted, his real potential had started to surface." "Wow... what a quick year! And what a wonderful year. Our son learned and grew so much this year, thanks to Ms. Jennifer and all the teachers in Preschool, and to the wonderful environment you have created at SOCDS. Thank you so much for the individual attention you give every family and student. We appreciate all you do and that you continue to grow at the school." "What is there to say - it's been such an amazing year of growth for our daughter and we could not be happier that she got o spend it a your warm, fun, creative, safe, confidence-building school. You truly have a gift - I don't know even know how to put it into words - and I've been really trying to! "Thanks to you all, my son has really flourished over the past 19 months. He has gone from a shy and somewhat fearful 3-year old to a confident, outgoing 5-year old. He is so comfortable in your care and will miss his friends and teachers as he prepares for Kindergarten. But thanks to the loving attention, guidance, and encouragement he is well prepared to succeed in a "big" school environment. He is drawing with flair, writing, playing and socializing with confidence. I will miss you too and look forward to the day when my younger one can be a part of SOCDS." "I am so grateful for all that you and your wonderful staff have done for our family. Thank you endlessly for the guidance, love, accommodations, and patience you have shown us all. You are all so terrific at what you do. You are an inspiration as a mother, community activist, educator, and human. Your teacher's have helped guide our children in to passionate, curious, adventurous ready for the new challenges and it is wonderful to see." 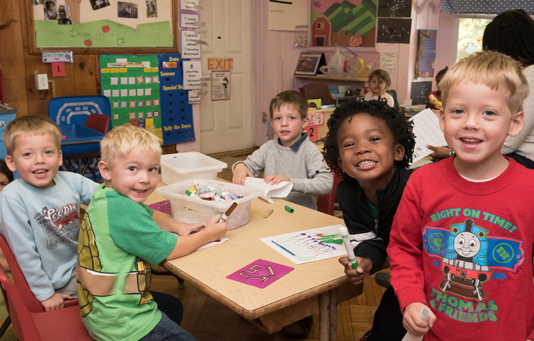 "When we first visited SOCDS before we moved here (and after many, many other preschools that we felt ambivalent about), we both had exactly the same thought within minutes of walking into your school: "This is exactly what childhood is supposed to look like." It is obvious that this is a place of freedom and discovery, and after spending some time observing the classrooms and talking with you, we knew that this was exactly where we wanted our son to spend the most important years of his life." "We are eternally grateful that you made room for our family within this incredible community you have created. We simply don't know how we could have made this move without having SOCDS in our lives." "I've had a chance to spend some time in the Pre-K room this fall when I read to the kids and brought my older daughter in to read, and I just wanted to tell you how wonderful I think the class is. The room is bright and clean and engaging. Ms. Trudi is so warm and loving and clear with the kids. The kids are all happy and engaged, and there is just generally a great vibe in there. I'm so glad that my younger child has a chance to be in that class this year." "I want to thank you for making our transition to SOCDS so easy and pleasant. I am so happy to have found your school. We have been to other preschools, so I feel I can safely say that SOCDS is a truly special place. I am amazed at how much my children are growing and learning at school." "We are thankful to you and all of the amazing SOCDS teachers for cultivating in our child not only a love of learning, but also empathy, kindness, and a sense of civic responsibility. We are thankful every day to be part of the SOCDS community." "Thank you for inspiring our children, providing a safe and loving environment, thank you for all the days I have spent, since my son joined SOCDS, with utmost peace of mind knowing he is happy and thriving where he was, thank you for cultivating a sense of community, bringing families together, and making us a part of it." At South Orange Country Day School communication is of the utmost importance for us. We know that everyone has busy lives and sometimes questions arise after hours. This form will go directly to Ms. Annemarie Maini, the school’s director and will remain confidential. Ms. Annemarie will personally get in touch with you regarding your query. The clay craft kits may contain mold on the clay. Please click here for more details. IKEA recalls Malm style of dressers as there is a risk of tip-over. Please click here for details. JW Crawford recalls kids rain ponchos due to strangulation. Please click here for more information. To subscribe for CPSP updates please click here.